Quinta do Noval Vintage Port is characterised by its purity of fruit and a fine, delicate quality that is typical of the wines of the property in general, but which finds its most remarkable and enduring expression in the Vintage Ports. The word "Nacional" refers to the fact that the vines are Portuguese vines growing in Portuguese soil with no foreign root stock and are therefore "attached to the soil of the Nation." The survival of the tiny parcel (6 acres) of legendary ungrafted vines is a mystery and the National is a unique and extraordinary phenomenon that does not necessarily follow the same rhythm as the rest of the Quinta do Noval. Nacional is every port lover's fantasy and this great wine is a source of pride to the people of Portugal and at its best the finest expression of the extraordinary terroir of Quinta do Noval. Charm and accessibility in an authentically Douro style. 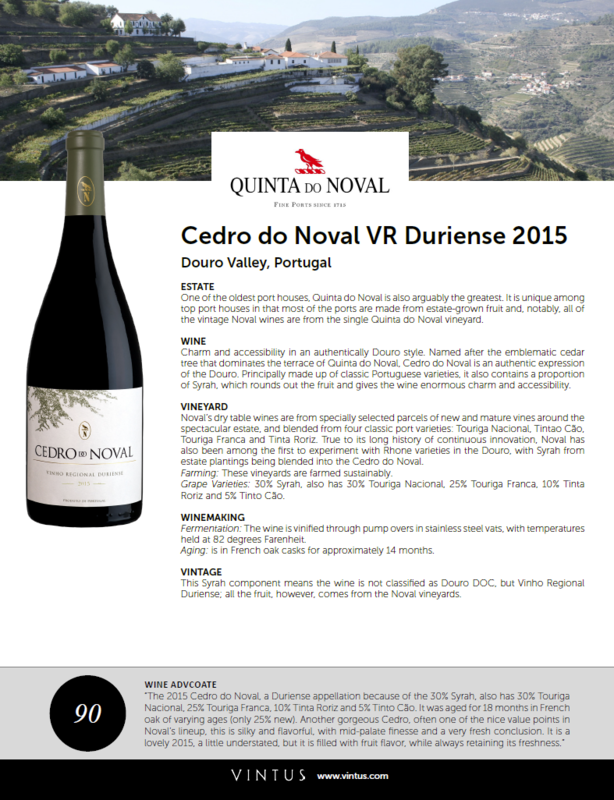 Named after the emblematic cedar tree that dominates the terrace of Quinta do Noval, Cedro do Noval is an authentic expression of the Douro. 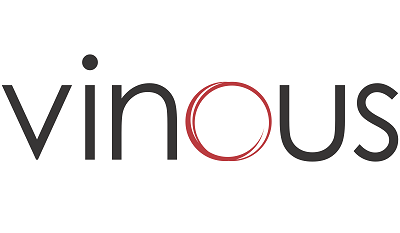 Principally made up of classic Portuguese varieties, it also contains a proportion of Syrah, which rounds out the fruit and gives the wine enormous charm and accessibility. Noval 10 year old Tawny is a blend of old Ports from different vintages that have matured in oak casks, with an average age of 10 years. It's a perfect expression of the Noval Tawny style. It has acquired the classical attributes of an old Tawny Port, while at the same time retaining much of the freshness and fruit of its youth. The style of Noval BLACK is entirely about emphasizing the quality of this fruit, through use of estate fruit, gentle handling (including foot treading), and vinification aiming for transparency. You could say it is the most wine-like of ruby reserve ports, and that is the secret to its flexibility, in cocktails, chilled, and even on ice. Noval 20 year old Tawny is a blend of old Ports from different vintages that have matured in oak casks, with an average age of 20 years. Irresistible freshness with all the complexity of age. Harmonious and balanced, fine, elegant and long, with all the aromatic complexity typical of Noval Tawny Ports.